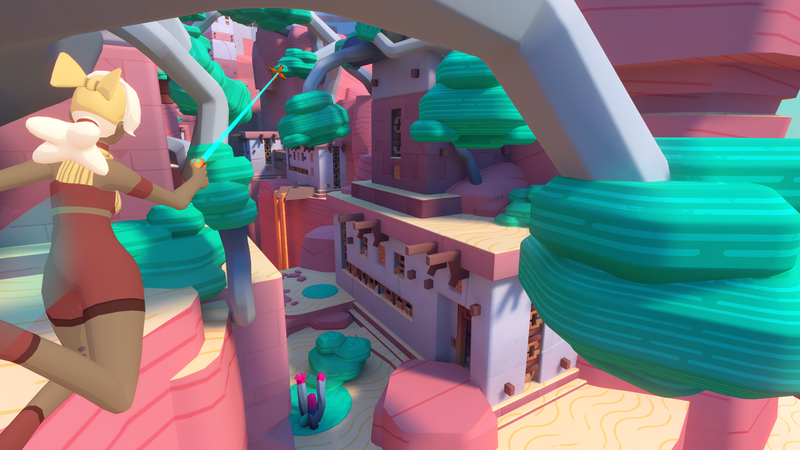 Jon Hibbins and Nick Pittom met at a Bossa Studios Virtual Reality Event, Jon was demoing Crystal Rift in Early alpha, Nick had made Spirited Away - Boiler Room VR and the My Neighbor Totoro - Bus Stop Scene, both were fans of each others work and decided that evening to work together on Crystal Rift. 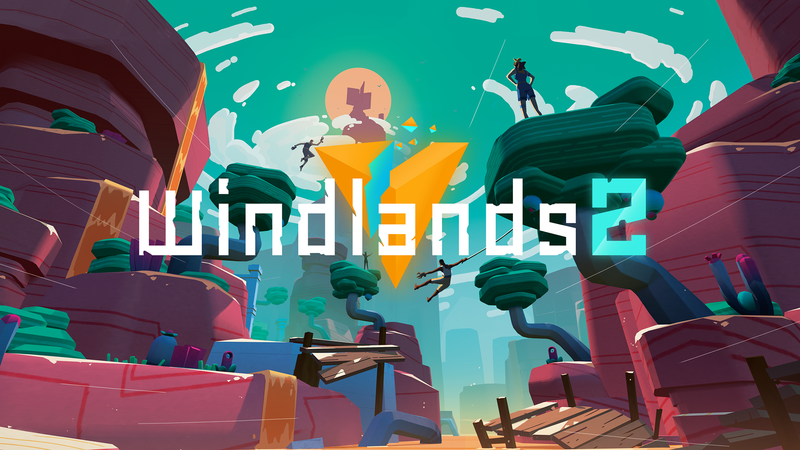 Jon Hibbins and Ilja Kivikangas met at an Oculus Virtual Reality Event in the London Facebook Offices, Jon was there for Crystal Rift and Ilja was there for Windlands, a special connection was made, in 2015 Psytec Games acquired Windlands, it was finished and published to Oculus Rift, HTC Vive and PSVR as launch titles, the entire team and new members moved on to Windlands 2. 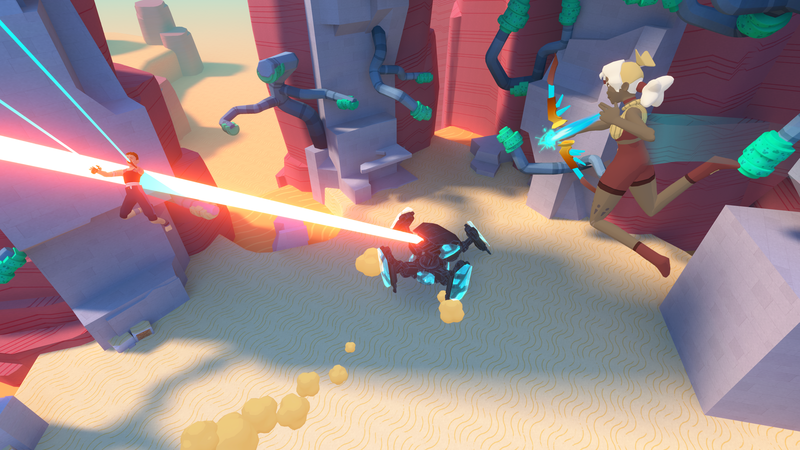 Grappling hooks focused locomotion with parkour platforming. Variety of expansive areas that reward exploration. 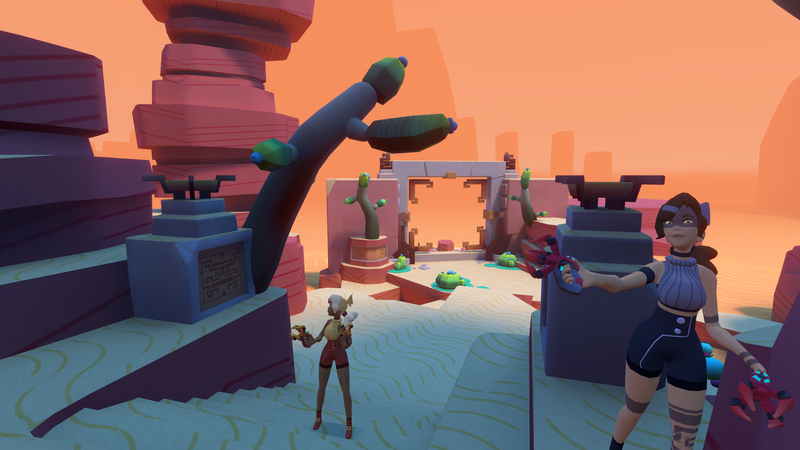 Single player or up to four player Co-Op. New Bow Weapon to use alongside the hooks in epic titan battles. 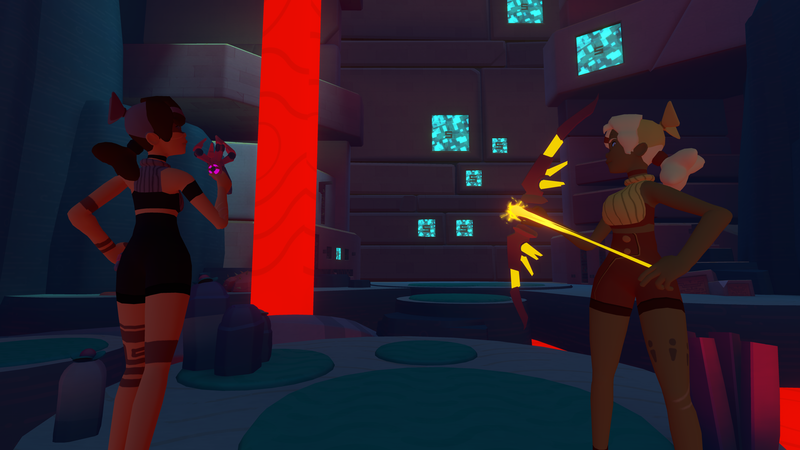 Fully voiced storyline with NPCs and world events. Optional skill based Speed Run Races and collection challenges with Leaderboards. Multiple advanced modes, including "no hooks", "one life" and "hook anything. Collectables, Easter Eggs and Achievements that reward exploration with new hooks as rewards for completers. 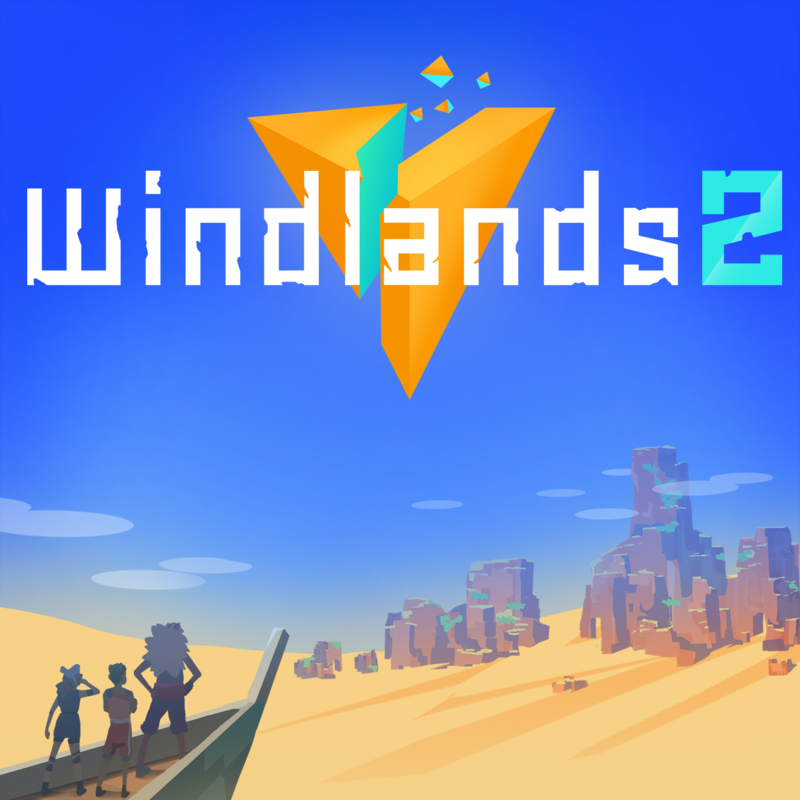 "Windlands 2 is really pretty amazing. The locomotion is so fluid & intuitive. 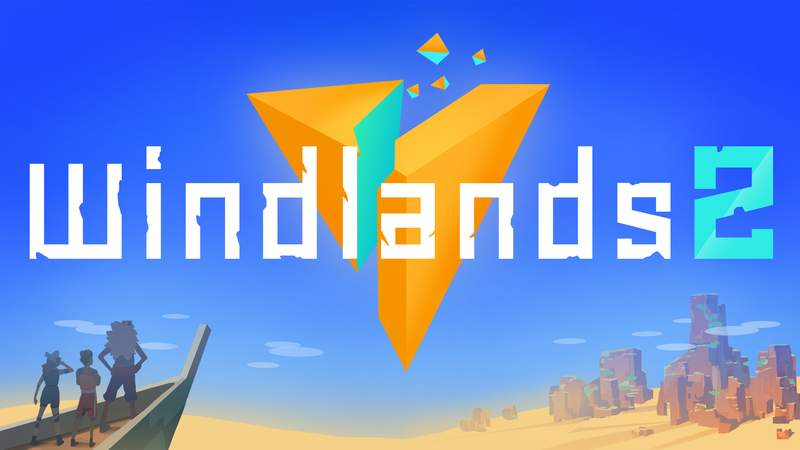 It's going to be a breakout social VR game playing w 4 people"
"Windlands 2 is one of the best VR titles of the year so far." "Just bloody buy it already, lads n lassies." "FANTASTIC - A true sequel in every sense of the word"
"soaring through the air and hooking your way to the top is ultimately a really novel experience that just feels right." 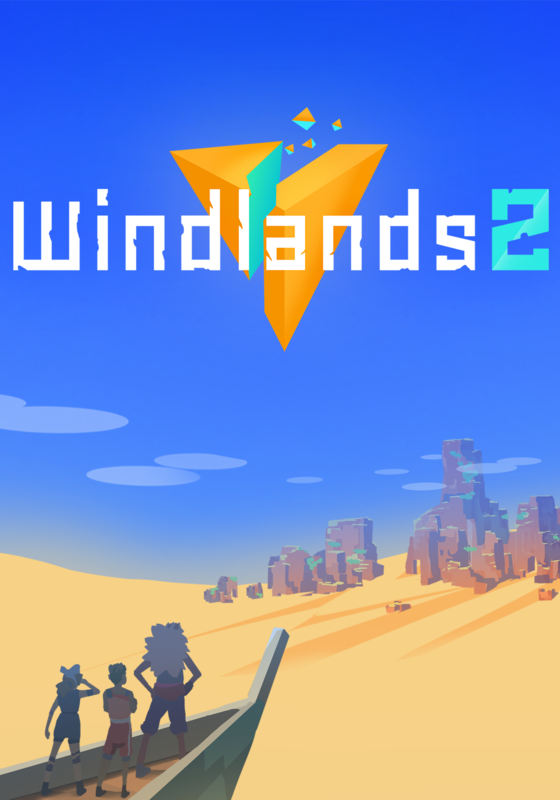 "Love, love, love this game"
"Welcome to Windlands 2, an amazing virtual reality video game!" 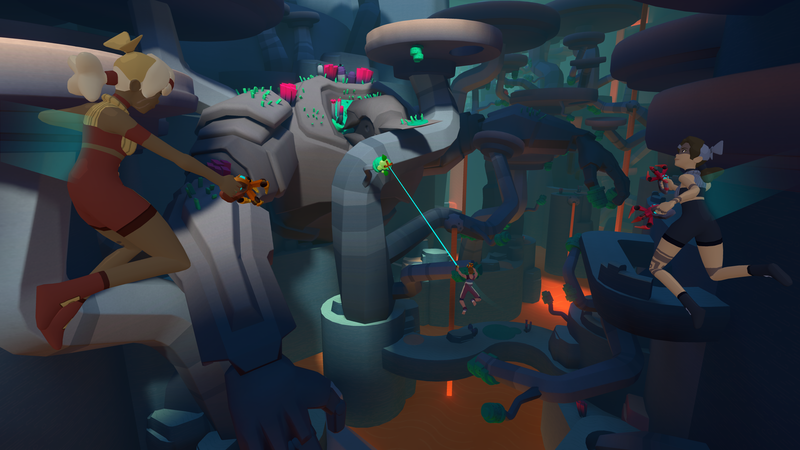 "All I can really say is do yourself a favour and grab this title"
"Swinging through the air with friends, rhythmically grappling between trees, and feeling the rush of adrenaline as I arc across the sky — all while shooting my bow into the distance — is an unrivalled joy in VR"
"We're impressed by the polished and fluid movement mechanic it's ton of fun!" "An awesome VR game that allows you to become spiderman in Virtual Reality!" 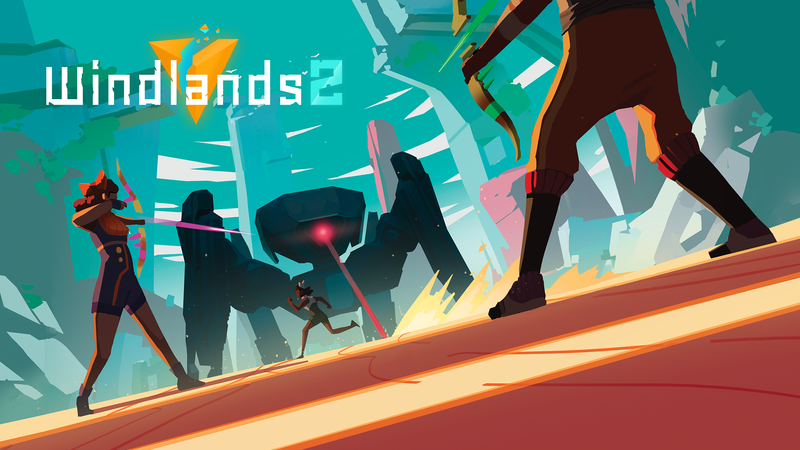 "Polished gameplay and a great co-op mode make this an essential title for everyone who wants to feel like Spider-Man"
"With Windlands 2's unique & exciting locomotion system, you'll never want to stop soaring!" "This is a game where I am absolutely loving the mechanics and the feeling, it doesn't really matter what i'm doing, just simply floating around is very unique"
More information on Psytec Games Ltd, our logo & relevant media are available here.